Posted by rogerhollander in Constitution, Criminal Justice, Democracy, Surveillance, Surveillance State, Whistle-blowing. Roger’s note: I suppose, at least in theory, there may be a justification for a “state secrets” doctrine. I could picture an extreme circumstance where the democratic right of the people and their representatives to know could be trumped because making information public could aid and abet an enemy in an imminently dangerous way. Nevertheless, that doctrine has been used and abused over and over again to evade accountability; and I am not aware of a single case where it was used to avoid an actual danger. But with respect to “legality,” I have often referred to a speech given many years ago by the notable civil liberties lawyer William Kunstler, which showed how some of the most noteworthy crimes in history — from the executions of Socrates and Jesus to the Nazi Holocaust — have been perpetrated under the color of “the Law.” My point is that men (sic) make the laws and the victors write the history. Take the issue under consideration in the following article, Snowden’s uncovering of NSA bulk surveillance. A federal appeals court says it is illegal. This will be appealed to the Supreme Court, which could well reverse with the result that was illegal one day becomes legal the next. The Law and the judicial system are sacred and not to be taken lightly. But in the final analysis, it comes down who holds political and economic and military power. And in our world today those who own and operate monopoly capitalism are in the driver’s seat. Justice will not come about until they are dislodged. Posted by rogerhollander in Civil Liberties, Constitution, Criminal Justice, Surveillance State. Roger’s note: Here is a phrase I find myself using with increasing frequency: “this is truly frightening.” Do you know what a National Security Letter is? Do you think that one in a hundred thousand Americans has any idea what a National Security Letter is, or that the notion even exists? It is a lock-you-up-and-throw-away-the-key kind of thing, the kind of thing Kafka and Orwell tried to warn us about. The government orders you to provide certain information. You will go to jail if you refuse to provide it. You are not allowed to tell anyone that you have been so ordered. You are not allowed to tell anyone that you have been ordered not to tell anyone. If you do, you will be financially ruined and thrown into jail. No appeal. No recourse. Add this to the loss of habeas corpus, indefinite detention, state sponsored and sanctioned systematic torture programs, and presidential kill lists. Does “truly frightening” really do the trick here anymore? For the past three months, I and other leaders of the organization May First/People Link have been under a federal subpoena to provide information we don’t have. During that time, we have also been forbidden by a federal court “gag order” to tell anyone about that subpoena, although we had already announced it and commented on it before the order was sent. Finally, we were forbidden from telling anyone about the gag order itself. It all sounds comical but any laughter would end if we violated that “gag order,” because that would be a felony and we could face prison sentences and huge fines. We were silenced by our own government in a case we had nothing to do with and over information we didn’t have…and we couldn’t tell anyone about any of it. The court order has now expired as of December 18 and I am now free to talk about it. It’s actually not easy to write about. Not because it was very painful — it really wasn’t. But it was so bizarre, illogical and foreign to my normal experience that it cut into the normal expectation of discourse and communications I, and people in this country, take for granted as a right. Not being able to talk about something and not being able to explain why was among the most surreal experiences I’ve had in nearly 50 years as an activist and, because of its implication, it was one of the most disturbing. It’s also difficult because I have no complete political context for this. I know there are many activists who are under such gag orders but I don’t who they are. They are gagged and, while the order that restrained us came from a judge and had a three-month time limit, many of these orders are issued instead as a federal National Security Letter and they are open-ended. I know people who have been gagged for years and had to press hard to have the order lifted long after the relevant investigation was over. I also know that about 300,000 such letters have been issued over the last ten years — over 140,000 between 2003 and 2005. The numbers alone attest to the seriousness of this situation. So let me explain what happened to us. Among other things, May First/People Link provides Internet hosting services to its members — like a web host. Most of our members are activists and activist organizations in the United States and Mexico but we have a few members in other countries who need the security of data and protection from government intrusion which we provide on principle. We’ve been doing that for a decade and during that decade we have received many information requests, letters about investigations and other less official but just as daunting actions like threats from companies who believe their copyright has been violated in some satirical piece on them. We respond by resisting all these requests for as long as we can and usually the affected member tells us to comply. Since May First doesn’t keep much recorded information on members, there’s not much to turn over. On September 5 this year, the Department of Justice (apparently cooperating with Greek law enforcement authorities) demanded account information about the Athens (Greece) Indymedia Center (IMC), one of our members. Although no government has confirmed this, we believe the target of the investigation was an activist organization wanted by Greek law enforcement that is believed to have used the Indymedia website at one point. There’s nothing unique or surprising about that — IndyMedia is an international organization dedicated to providing news about movements world-wide, news which is often written by those movements. So anyone who wants to post on an Indymedia Center website is freely allowed to do so. In fact, the Athens IMC had very little information on the organization under investigation. It doesn’t maintain logs or records of visitors. It just had a couple of email addresses that the government already knew about. In other words, we didn’t have anything the government wanted and couldn’t turn over what we didn’t have even if we wanted to. Normally, things would have ended there. But this request was different from others we’ve received because the government subpoena demanded information not just for the Athens IMC but for the entire server their site is on. And that serve, which belongs to us, hosts many other May First members. This was particularly egregious for two reasons. First, those other MF/PL members had nothing to do with this investigation and seizing their information not only violated the privacy and data protection principles we live by but it also violated any concept of responsible investigation. The government wanted us to turn over information about members who didn’t even know anything about this case and who had no connection at all to Athens IMC (much less the target of the investigation). Second, the Athens IMC itself wasn’t suspected of doing anything illegal, but the Greek government could easily use information concerning it for repressive purposes. We knew there was nothing connected to its investigation on that server so why were these people trying to get this information? After consulting with the Athens IMC, we refused to release personally identifying information to the government. We then publicly announced the existence of the subpoena to our membership and posted that information on our website. Two weeks later, we were served with the gag order forbidding us from talking about the subpoena and forbidding us from even acknowledging to anyone outside our Leadership Committee that the order existed. That included friends, family, our membership and even the Athens IMC. We were to act as if nothing had happened even though we had already announced that it had. We were informed that any violation of this order could result in fines and imprisonment, which could have destroyed the organization. Our lawyers from the Electronic Frontier Foundation advised us to comply. I hate bullies and my natural inclination when I confront one is to push back. That’s more or less what May First does in most of the legal cases we face. It wasn’t the threat of a prison sentence that concerned us but a misstep in this case could mean a huge fine that would shut us down, closing down the websites and email accounts of thousands of activists. That would be movement-crippling and so we decided to follow our lawyers’ advice and comply. We heard nothing more from the government and haven’t heard anything since. And that’s the first absurdity in the whole tale. You would think that not allowing a citizen to talk would be a pretty huge decision for the government in this country. But this was treated like a routine matter and that’s because it is routine. It has become one of the government’s favorite investigative tools and the specific kind of tool the government usually uses is a National Security Letter. Essentially the NSL is a demand for certain information which always includes a gag order like the one we received (except ours came from the federal court itself). Under the Patriot Act, the FBI can issue such a letter (without a judge’s approval or a hearing) if the agent running an ongoing investigation believes the information being sought is relevant to the case. Most of these letters are about illegal clandestine activities or terrorism but that’s a pretty wide berth for any investigation. What’s more, the letters never tell you what the investigation is about. There is no judicial review of the request required although, after the reform of the Patriot Act in 2006, you can appeal the letter to a federal judge. But the record shows that such appeals are almost never successful. So you have to give up the information on people who expect that you will protect their information, never tell these people or anyone else you’re doing it and never tell anybody that you can’t tell them. This alone shows that, in the United States, we have no privacy and, since you can’t communicate with people about what you’re being forced to do, no real freedom of speech. To illustrate how absurd things got: I was contacted by several journalists from Greece who were, naturally, interested in a story about the US government cooperating with their own government’s investigators. One asked me, “Have you received this subpoena?” and I responded that we have issued a statement on it. Any reporter with any experience would realize that I’m under a gag order at that point, so the whole thing was ridiculous, particularly because we had already published a statement about this before we were gagged. But maybe this wasn’t about not publishing the information. Maybe this was about exercising repressive power over a citizen…testing how far they can go, testing how much we will accept. Because our order was issued by a federal judge, it was reviewed and had an expiration date. But if it had been issued through an NSL, the gag would be virtually permanent. If an activist believes that a particular government investigation is invasive (which it often is), that activist can never speak about it, comment on it, publicly analyze it. It becomes cloaked in the virtual smoke of a room of repression and constitutional violation. That room is furnished the other accoutrements of a rapidly degenerating police-state society: cops killing young men of color without any real legal repercussion; a prison system bloated with young people that substitutes for gainful employment; a war policy that provides the only job potential young people have…to kill and die; a shocking policy of data gathering that violates every premise of privacy and civil rights; a democracy that is broken and manipulated as a matter of course and a government that is brazenly dysfunctional. In that context of a society that clearly cannot be reformed, this absurd drama that would make Samuel Beckett proud makes a whole lot of sense. It’s not about the information you can give the government, it’s about blocking the information you can give other people. For most of my life, people in this country have pointed out to me that at least we should be pleased that we can protest and that we have freedom of speech, privacy and association. But we really don’t. At least a third of a million of us haven’t enjoyed that freedom for an indeterminate period and probably a large percentage of them still don’t. Any freedom we have is granted by a government which constantly demonstrates that it’s ready to withdraw that freedom if it deems that necessary. For some reason, not being gagged doesn’t feel very “free”. Alfredo Lopez writes about technology issues for This Can’t Be Happening! Posted by rogerhollander in Civil Liberties, Constitution, Surveillance, Surveillance State. This National Security Agency complex in San Antonio, Texas, located in a former Sony chip factory, is one of the central offices of the intelligence agency’s Tailored Access Operations, the NSA’s top operative unit. It’s something like a squad of plumbers that can be called in when normal access to a target is blocked. Germany’s Der Spiegel is reporting Sunday that the US National Security Agency (NSA), working with the CIA and FBI, has been intercepting laptops and other electronics bought online before delivery to install malware and other spying tools. According to Der Spiegel, the NSA diverts shipping deliveries to its own “secret workshops” to install the software before resending the deliveries to their purchasers. Elite hackers working for the NSA’s Tailored Access Operations (TAO) division are considered to be the intelligence agency’s top secret weapon. The NSA’s TAO reportedly has backdoor access to many hardware and software systems from major tech companies such as Cisco, Dell, and Western Digital and others. The NSA exploits Microsoft Windows error reports to find weak spots in compromised machines in order to install Trojans and other viruses. The Der Spiegel report also notes that the NSA has successfully tapped into some of the massive, under-sea fiber-optic cables that connect the global data infrastructure, in particular the “SEA-ME-WE-4″ cable system. Posted by rogerhollander in Foreign Policy, Surveillance State. Roger’s note: there was much to like about Truman, especially his standing up to the immensely popular war hero MacArthur, who wanted to start WWIII in Korea. But Truman’s use of the atomic bomb against the already defeated Japanese Empire at Hiroshima and Nagasaki more than negates the better part of his legacy. Nevertheless, on his warning here about the CIA he was right on. This article tells us who really runs the American Empire (hint: not you and me, or even the robot Obama) and suggests the reason for the assassination of JFK. 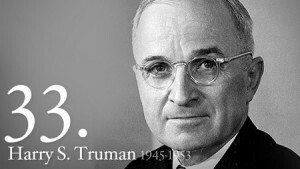 But Truman’s warning fell mostly on deaf ears, at least within Establishment circles. The Washington Post published the op-ed in its early edition on Dec. 22, 1963, but immediately excised it from later editions. Other media ignored it. The long hand of the CIA? It does appear that the newly taciturn CIA Director Brennan has inordinate influence over the President in such matters – not unlike the influence that both DNI Clapper and NSA Director Alexander seem able to exert. In this respect, Brennan joins the dubious company of the majority of his predecessor CIA directors, as they made abundantly clear when they went to inordinate lengths to prevent their torturer colleagues from being held accountable. A version of this article also appeared at Consortium News. Posted by rogerhollander in Criminal Justice, Surveillance State, Whistle-blowing. Roger’s note: in this article Hedges cites John Kennedy’s “Those who make peaceful change impossible make violent change inevitable,” which is more or less the theme of the piece. A chant I have heard at many a protest demonstration says the same in four simple words: “No Justice, No Peace.” In our upside-down world, the state purveyors of massive violence and terror, indict those who oppose it on the grounds of inciting violence and terror. Freud would understand, but I digress. Regardless of whether governments are democratic or not, it is capital that rules in our universe. Capital-ism is the system by which capital rules via economies, governments (all three branches: executive, law making legislatures and judicial), military and policing. In a very real sense, there is a war going on at all times, the war against human beings by those who own, manage and control capital (huge accumulations of stolen wealth). As the saying goes: they only acknowledge class war when we fight back. NEW YORK—I was in federal court here Friday for the sentencing of Jeremy Hammond to 10 years in prison for hacking into the computers of a private security firm that works on behalf of the government, including the Department of Homeland Security, and corporations such as Dow Chemical. In 2011 Hammond, now 28, released to the website WikiLeaks and Rolling Stone and other publications some 3 million emails from the Texas-based company Strategic Forecasting Inc., or Stratfor. The sentence was one of the longest in U.S. history for hacking and the maximum the judge could impose under a plea agreement in the case. It was wildly disproportionate to the crime—an act of nonviolent civil disobedience that championed the public good by exposing abuses of power by the government and a security firm. But the excessive sentence was the point. The corporate state, rapidly losing credibility and legitimacy, is lashing out like a wounded animal. It is frightened. It feels the heat from a rising flame of revolt. It is especially afraid of those such as Hammond who have the technical skills to break down electronic walls and expose the corrupt workings of power. “People have a right to know what governments and corporations are doing behind closed doors,” Hammond told me when we met in the Metropolitan Correctional Center in Manhattan about a week and a half before his sentencing. I did not hope for justice from the court. Judge Loretta A. Preska is a member of the right-wing Federalist Society. And the hack into Stratfor gave the email address and disclosed the password of an account used for business by Preska’s husband, Thomas Kavaler, a partner at the law firm Cahill Gordon & Reindel. Some emails of the firm’s corporate clients, including Merrill Lynch, also were exposed. The National Lawyers Guild, because the judge’s husband was a victim of the hack, filed a recusal motion that Preska, as chief judge of the U.S. District Court for the Southern District of New York, was able to deny. Her refusal to recuse herself allowed her to oversee a trial in which she had a huge conflict of interest. The judge, who herself once was employed at Cahill Gordon & Reindel, fulminated from the bench about Hammond’s “total lack of respect for the law.” She read a laundry list of his arrests for acts of civil disobedience. She damned what she called his “unrepentant recidivism.” She said: “These are not the actions of Martin Luther King, Nelson Mandela … or even Daniel Ellsberg; there’s nothing high-minded or public-spirited about causing mayhem”—an odd analogy given that Mandela founded the armed wing of the African National Congress, was considered by South Africa’s apartheid government and the United States government to be a terrorist and was vilified, along with King and Ellsberg, by the U.S. government. She said there was a “desperate need to promote respect for the law” and a “need for adequate public deterrence.” She read from transcripts of Hammond’s conversations in Anonymous chat rooms in which he described the goal of hacking into Stratfor as “destroying the target, hoping for bankruptcy, collapse” and called for “maximum mayhem.” She admonished him for releasing the unlisted phone number of a retired Arizona police official who allegedly received threatening phone calls afterward. The judge imposed equally harsh measures that will take effect after Hammond’s release from prison. She ordered that he be placed under three years of supervised control, be forbidden to use encryption or aliases online and submit to random searches of his computer equipment, person and home by police and any internal security agency without the necessity of a warrant. The judge said he was legally banned from having any contact with “electronic civil disobedience websites or organizations.” By the time she had finished she had shredded all pretense of the rule of law. The severe sentence—Hammond will serve more time than the combined sentences of four men who were convicted in Britain for hacking related to the U.S. case—was monumentally stupid for a judge seeking to protect the interest of the ruling class. The judicial lynching of Hammond required her to demonstrate a callous disregard for transparency and our right to privacy. It required her to ignore the disturbing information Hammond released showing that the government and Stratfor attempted to link nonviolent dissident groups, including some within Occupy, to terrorist organizations so peaceful dissidents could be prosecuted as terrorists. It required her to accept the frightening fact that intelligence agencies now work on behalf of corporations as well as the state. She also had to sidestep the fact that Hammond made no financial gain from the leak. The sentencing converges with the state’s persecution of Chelsea Manning, Edward Snowden, Julian Assange and Barrett Brown, along with Glenn Greenwald, Jacob Appelbaum, Laura Poitras and Sarah Harrison, four investigative journalists who are now in self-imposed exile from the United States. And as the numbers of our political prisoners and exiled dissidents mount, there is the unmistakable stench of tyranny. This draconian sentence, like the draconian sentences of other whistle-blowers, will fan revolt. History bears this out. It will solidify the growing understanding that we must resort, if we want to effect real change, to unconventional tactics to thwart the mounting abuses by the corporate state. There is no hope, this sentencing shows, for redress from the judicial system, elected officials or the executive branch. Why should we respect a court system, or a governmental system, that shows no respect to us? Why should we abide by laws that serve only to protect criminals such as Wall Street thieves while leaving the rest of us exposed to abuse? Why should we continue to have faith in structures of power that deny us our most basic rights and civil liberties? Why should we be impoverished so the profits of big banks, corporations and hedge funds can swell? No one will save us but ourselves. That was the real message sent out by the sentencing of Jeremy Hammond. And just as Hammond was inspired to act by the arrest of Chelsea (then Bradley) Manning, others will be inspired to act by Hammond and the actions taken against him. And we can thank Judge Preska for that. Hammond is rooted in the Black Bloc. As he was escorted out of the courtroom on the ninth floor of the federal courthouse at 500 Pearl St. on Friday he shouted to roughly 100 people—including a class of prim West Point cadets in their blue uniforms—gathered there: “Long live Anonymous! Hurrah for anarchy!” In a statement he read in court he thanked “Free Anons, the Anonymous Solidarity Network [and] Anarchist Black Cross” for their roles in the fight against oppression. Hammond has abandoned faith not only in traditional institutions, such as the courts, but nonviolent mass protest and civil disobedience, a point on which he and I diverge. But his analysis of corporate tyranny is correct. And the longer the state ruthlessly persecutes dissidents, the more the state ensures that those who oppose it will resort to radical responses including violence. “Those who make peaceful change impossible make violent change inevitable,” John F. Kennedy said. And the corporate state is not only making peaceful change impossible but condemning it as terrorism. In late October I spent an afternoon with Hammond in New York’s Metropolitan Correctional Center, where he had been held for 20 months. He said during our conversation, parts of which his lawyer requested be published only after his sentencing, that he believed that the sole way the people will now have any power is to rise up physically and seize it. My column last week was about that interview, and now I am including previously withheld parts of the conversation. “Because we were unprepared, or perhaps unwilling, to defend our occupations, police and mayors launched coordinated attacks, driving us out of our own parks,” he said of the state’s closure of the Occupy encampments. An FBI informant, Hector Xavier Monsegur, posing as an Anonymous member and using the online name “Sabu,” prodded Hammond to break into Stratfor and informed him of technical vulnerabilities in websites of the company. “Why the FBI would introduce us to the hacker who found the initial vulnerability and allow this hack to continue remains a mystery,” Hammond said as he faced the judge. At Sabu’s urging, Hammond broke into other websites, too. Hammond, at Sabu’s request, provided information to hackers enabling them to break into and deface official foreign government websites, including some of Turkey, Iran and Brazil. The names of these three countries are technically under a protective court order but have been reported widely in the press. “I broke into numerous sites and handed over passwords and backdoors that enabled Sabu—and by extension his FBI handlers—to control these targets,” Hammond said. Posted by rogerhollander in Civil Liberties, Constitution, Democracy, Media, Surveillance State, Whistle-blowing. 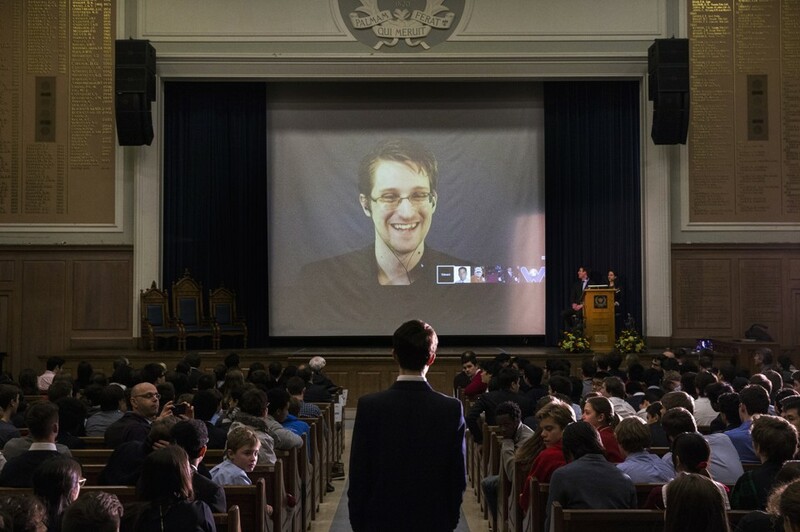 The most under-discussed aspect of the NSA story has long been its international scope. That all changed this week as both Germany and France exploded with anger over new revelations about pervasive NSA surveillance on their population and democratically elected leaders. As was true for Brazil previously, reports about surveillance aimed at leaders are receiving most of the media attention, but what really originally drove the story there were revelations that the NSA is bulk-spying on millions and millions of innocent citizens in all of those nations. The favorite cry of US government apologists -–everyone spies! – falls impotent in the face of this sort of ubiquitous, suspicionless spying that is the sole province of the US and its four English-speaking surveillance allies (the UK, Canada, Australia and New Zealand). There are three points worth making about these latest developments. • First, note how leaders such as Chancellor Angela Merkel reacted with basic indifference when it was revealed months ago that the NSA was bulk-spying on all German citizens, but suddenly found her indignation only when it turned out that she personally was also targeted. That reaction gives potent insight into the true mindset of many western leaders. • Second, all of these governments keep saying how newsworthy these revelations are, how profound are the violations they expose, how happy they are to learn of all this, how devoted they are to reform. If that’s true, why are they allowing the person who enabled all these disclosures – Edward Snowden – to be targeted for persecution by the US government for the “crime” of blowing the whistle on all of this? If the German and French governments – and the German and French people – are so pleased to learn of how their privacy is being systematically assaulted by a foreign power over which they exert no influence, shouldn’t they be offering asylum to the person who exposed it all, rather than ignoring or rejecting his pleas to have his basic political rights protected, and thus leaving him vulnerable to being imprisoned for decades by the US government? Aside from the treaty obligations these nations have to protect the basic political rights of human beings from persecution, how can they simultaneously express outrage over these exposed invasions while turning their back on the person who risked his liberty and even life to bring them to light? • Third, is there any doubt at all that the US government repeatedly tried to mislead the world when insisting that this system of suspicionless surveillance was motivated by an attempt to protect Americans from The Terrorists™? Our reporting has revealed spying on conferences designed to negotiate economic agreements, the Organization of American States, oil companies, ministries that oversee mines and energy resources, the democratically elected leaders of allied states, and entire populations in those states. Can even President Obama and his most devoted loyalists continue to maintain, with a straight face, that this is all about Terrorism? That is what this superb new Foreign Affairs essay by Henry Farrell and Martha Finnemore means when it argues that the Manning and Snowden leaks are putting an end to the ability of the US to use hypocrisy as a key weapon in its soft power. 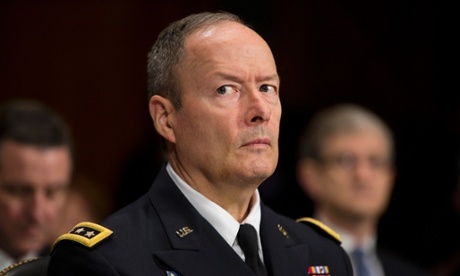 The head of the embattled National Security Agency, Gen Keith Alexander, is accusing journalists of “selling” his agency’s documents and is calling for an end to the steady stream of public disclosures of secrets snatched by former contractor Edward Snowden. “I think it’s wrong that that newspaper reporters have all these documents, the 50,000 – whatever they have and are selling them and giving them out as if these – you know it just doesn’t make sense,” Alexander said in an interview with the Defense Department’s “Armed With Science” blog. There are 25,000 employees of the NSA (and many tens of thousands more who work for private contracts assigned to the agency). Maybe one of them can tell The General about this thing called “the first amendment”. I’d love to know what ways, specifically, General Alexander has in mind for empowering the US government to “come up with a way of stopping” the journalism on this story. Whatever ways those might be, they are deeply hostile to the US constitution – obviously. What kind of person wants the government to forcibly shut down reporting by the press? Whatever kind of person that is, he is not someone to be trusted in instituting and developing a massive bulk-spying system that operates in the dark. For that matter, nobody is. Posted by rogerhollander in Civil Liberties, Constitution, Criminal Justice, Democracy, Occupy Wall Street Movement, Surveillance State, Whistle-blowing. Roger’s note: Back in the last decades of the 2000s, when we participated in protest activities — from the Vietnam War to the Iraq invasions — we knew there were likely to be police abuses and arrests, especially if civil disobedience was part of the strategy. So we prepared by “arming” ourselves with information about our constitutional rights and usually had ACLU lawyer types ready to back us up, their phone numbers in our back pockets. Times have changed. The constitution and habeas corpus doesn’t mean much any more. The police have always acted with a degree of impunity, but today that has increased exponentially, along with a frightening degree of police militarization (they already have armored cars and tanks and will soon have little drone missiles). 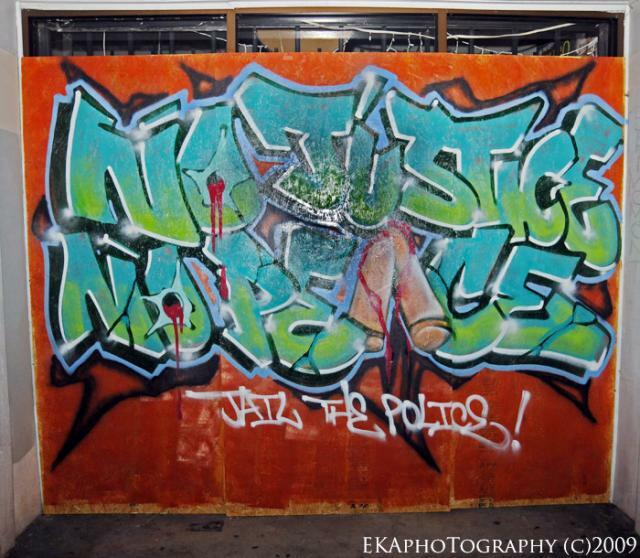 The crackdowns on the Occupy Movement two years ago made that crystal clear. 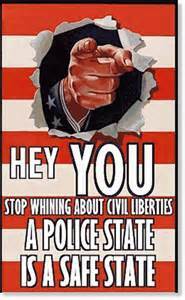 Do we live in a police state? I think the evidence speaks for itself. Here is just one example of what peaceful protest faces today. The YouTube page for a company called NICE, for instance, features a highly produced video showing how its products can be used in the event of a protest. “The NICE video analytic suite alerts on an unusually high occupancy level in a city center,” a narrator says as the camera zooms in on people chanting and holding signs that read “clean air” and “stop it now.” The video then shows authorities redirecting traffic to avoid a bottleneck, and promises that all audio and video from the event will be captured and processed almost immediately. “The entire event is then reconstructed on a chronological timeline, based on all multimedia sources,” says the narrator. According to an interview with the head of NICE’s security division published in Israel Gateway, NICE systems are used by New Jersey Transit and at the Statue of Liberty, though it isn’t clear if they are the same products shown in the video. Another program, made by Bright Planet and called BlueJay, is billed in a brochure to law enforcement as a “Twitter crime scanner.” BlueJay allows cops to covertly monitor accounts and hashtags; three that Bright Planet touts in promotional material are #gunfire, #meth, and #protest. In another promotional document, the company says BlueJay can “monitor large public events, social unrest, gang communications, and criminally predicated individuals,” as well as “track department mentions.” Bright Planet did not respond to a request for comment. Once you set up the OpenMIND™ system to profile and monitor the rally, it will search the web for the event on web pages, social networking sites, blogs, forums and so forth, looking for information about the nature of the rally (e.g. peaceful, violent, participant demographics), try to identify both online and physical world activist leaders and collect information about them, monitor the event in real-time and alert you on user-defined critical developments. The scenario concludes: “Your insight is distributed to the local police force warning them that the political rally may turn violent and potentially thwarting the violence before it occurs.” The 3i:Mind website gives no clues at to which governments or corporations use their products, and public information on the company is limited, though they have reportedly shown their product at various trade shows and police conferences. The company didn’t respond to a request for comment. Other companies are less upfront about how their products can be used to monitor social unrest. A product that will be familiar to anyone who attended an Occupy Wall Street protest in or around New York’s Zuccotti Park is SkyWatch, by FLIR, pointed out to Rolling Stone by Lipp, the journalist who attended the police conference. SkyWatch is a mobile tower in the form of a two-person cab that can be raised two stories high to provide “an array of surveillance options,” according to a promotional brochure. Those options include cameras and radar, as well as “customizable” options. The brochure says SkyWatch is perfect for “fluid operations whether on the front lines or at a hometown event.” As of this writing, the NYPD still has a SkyWatch deployed in a corner of Zuccotti Park, where Occupy activists were evicted by the police nearly two years ago. Rolling Stone contacted police departments for the cities of New York City, Los Angeles, Chicago, Philadelphia and Washington D.C. for comment on this story. “The Philadelphia Police Department has their own cameras,” says that force’s spokesperson Jillian Russell. “The department does not have private surveillance companies monitor crime.” She directed follow-up questions about software used to process big data to a deputy mayor’s office, who didn’t return a phone call asking for comment. The other police departments did not respond to requests for comment. Posted by rogerhollander in Brazil, Latin America, Mexico, Surveillance State. This operation, dubbed “Flatliquid,” is described in a document leaked by whistleblower Edward Snowden, which SPIEGEL has now had the opportunity to analyze. The case is likely to cause further strain on relations between Mexico and the United States, which have been tense since Brazilian television network TV Globo revealed in September that the NSA monitored then-presidential candidate Enrique Peña Nieto and others around him in the summer of 2012. Peña Nieto, now Mexico’s president, summoned the US ambassador in the wake of that news, but confined his reaction to demanding an investigation into the matter. Now, though, the revelation that the NSA has systematically infiltrated an entire computer network is likely to trigger deeper controversy, especially since the NSA’s snooping took place during the term of Peña Nieto’s predecessor Felipe Calderón, a leader who worked more closely with Washington than any other Mexican president before him. Reports of US surveillance operations have caused outrage in Latin America in recent months. Brazilian President Dilma Rousseff cancelled a planned trip to Washington five weeks ago and condemned the NSA’s espionage in a blistering speech to the United Nations General Assembly. The US surveillance of politicians in Mexico and Brazil is not a one-off. Internal documents show these countries’ leaders represent important monitoring targets for the NSA, with both Mexico and Brazil ranking among the nations high on an April 2013 list that enumerates the US’ surveillance priorities. That list, classified as “secret,” was authorized by the White House and “presidentially approved,” according to internal NSA documents. The list ranks strategic objectives for all US intelligence services using a scale from “1” for high priority to “5” for low priority. In the case of Mexico, the US is interested primarily in the drug trade (priority level 1) and the country’s leadership (level 3). Other areas flagged for surveillance include Mexico’s economic stability, military capabilities, human rights and international trade relations (all ranked at level 3), as well as counterespionage (level 4). It’s much the same with Brazil — ascertaining the intentions of that country’s leadership ranks among the stated espionage targets. Brazil’s nuclear program is high on the list as well. When Brazilian President Rousseff took office in early 2011, one of her goals was to improve relations with Washington, which had cooled under her predecessor, the popular former labor leader Luiz Inácio Lula da Silva. Lula focused primarily on establishing closer ties with China, India and African nations, and even invited Iran’s then-President Mahmoud Ahmadinejad to Brazil, in a snub to the US. President Barack Obama postponed a planned visit to the capital, Brasília, as a result. Rousseff, however, has distanced herself from Iran. And the first foreign minister to serve under her, Antonio Patriota, who recently resigned, was seen as friendly toward the US, maintaining good ties with his counterpart Hillary Clinton. Obama made a state visit to Brazil two years ago and Rousseff had planned to reciprocate with a visit to Washington this October. Then came the revelation that US authorities didn’t stop short of spying on the president herself. According to one internal NSA presentation, the agency investigated “the communication methods and associated selectors of Brazilian President Dilma Rouseff and her key advisers.” It also said it found potential “high-value targets” among her inner circle. Rousseff believes Washington’s reasons for employing such unfriendly methods are partly economic, an accusation that the NSA and its director, General Keith Alexander, have denied. Yet according to the leaked NSA documents, the US also monitored email and telephone communications at Petrobras, the oil corporation in which the Brazilian government holds a majority stake. Brazil possesses enormous offshore oil reserves. Just how intensively the US spies on its neighbors can be seen in another, previously unknown operation in Mexico, dubbed “Whitetamale” by the NSA. In August 2009, according to internal documents, the agency gained access to the emails of various high-ranking officials in Mexico’s Public Security Secretariat that combats the drug trade and human trafficking. This hacking operation allowed the NSA not only to obtain information on several drug cartels, but also to gain access to “diplomatic talking-points.” In the space of a single year, according to the internal documents, this operation produced 260 classified reports that allowed US politicians to conduct successful talks on political issues and to plan international investments. While these operations were overseen from the NSA’s branch in San Antonio, Texas, secret listening stations in the US Embassies in Mexico City and Brasília also played a key role. The program, known as the “Special Collection Service,” is conducted in cooperation with the CIA. The teams have at their disposal a wide array of methods and high-tech equipment that allow them to intercept all forms of electronic communication. The NSA conducts its surveillance of telephone conversations and text messages transmitted through Mexico’s cell phone network under the internal code name “Eveningeasel.” In Brasília, the agency also operates one of its most important operational bases for monitoring satellite communications. This summer, the NSA took its activities to new heights as elections took place in Mexico. Despite having access to the presidential computer network, the US knew little about Enrique Peña Nieto, designated successor to Felipe Calderón. In his campaign appearances, Peña Nieto would make his way to the podium through a sea of supporters, ascending to the stage like a rock star. He is married to an actress, and also had the support of several influential elder statesmen within his party, the PRI. He promised to reform the party and fight pervasive corruption in the country. But those familiar with the PRI, which is itself regarded by many as corrupt, saw this pledge as little more than a maneuver made for show. First and foremost, though, Peña Nieto promised voters he would change Mexico’s strategy in the war on drugs, announcing he would withdraw the military from the fight against the drug cartels as soon as possible and invest more money in social programs instead. Yet at the same time, he assured Washington there would be no U-turn in Mexico’s strategy regarding the cartels. So what were Peña Nieto’s true thoughts at the time? What were his advisers telling him? The NSA’s intelligence agents in Texas must have been asking themselves such questions when they authorized an unusual type of operation known as structural surveillance. For two weeks in the early summer of 2012, the NSA unit responsible for monitoring the Mexican government analyzed data that included the cell phone communications of Peña Nieto and “nine of his close associates,” as an internal presentation from June 2012 shows. Analysts used software to connect this data into a network, shown in a graphic that resembles a swarm of bees. The software then filtered out Peña Nieto’s most relevant contacts and entered them into a databank called “DishFire.” From then on, these individuals’ cell phones were singled out for surveillance. Meanwhile, the NSA’s spying has already caused considerable political damage in the case of Brazil, seriously denting the mutual trust between Rousseff and Obama. Brazil now plans to introduce a law that will force companies such as Google and Facebook to store their data inside Brazil’s borders, rather than on servers in the US, making these international companies subject to Brazilian data privacy laws. The Brazilian government is also developing a new encryption system to protect its own data against hacking. So far, Mexico has reacted more moderately — although the fact that the NSA infiltrated even the presidential computer network wasn’t known until now. Commenting after TV Globo first revealed the NSA’s surveillance of text messages, Peña Nieto stated that Obama had promised him to investigate the accusations and to punish those responsible, if it was found that misdeeds had taken place.In response to an inquiry from SPIEGEL concerning the latest revelations, Mexico’s Foreign Ministry replied with an email condemning any form of espionage on Mexican citizens, saying such surveillance violates international law. “That is all the government has to say on the matter,” stated a spokesperson for Peña Nieto. Presumably, that email could be read at the NSA’s Texas location at the same time.